The project started with a small pilot to address the needs of one child in a First School. From there it has grown into an Authority wide initiative, and is spreading to other authorities across the UK. 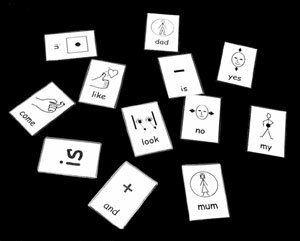 The use of symbols has been recognised as having value to a wide range of students who may have difficulty in reading text in different contexts and understanding word meanings. 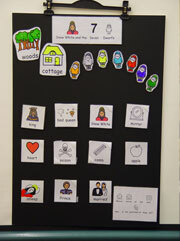 In 2002 A small project was set up between the Designated Speech and Language Provision (DSLP) hosted by Bilton Infant School and Widgit Software, to explore the ways that symbols might be used to support a specific child with learning difficulties entering the school. In the original Bilton Project, which lasted one year, Widgit provided a free licence for 15 installations of the symbol software Writing with Symbols 2000, (cost £500) plus one full day training to the full staff. Through the year, Widgit also provided one twilight Inset session each term for Bilton staff, and latterly for staff from other interested schools. Training sessions and materials to trial the materials across the DSLP and through the DISCS outreach support programme. In this initial phase of the SIP project, Widgit paid Warwickshire £12,000 in addition to the above support. The agreement was that all materials developed under the project would be freely available to educational establishments in Warwickshire, but that Widgit retained the copyright of these materials and were free to distribute the materials outside of the Local Authority as they wished. During this time new, more appropriate software (Communicate: In Print) was published by Widgit that enabled more flexible and imaginative materials to be created. In this phase resources were developed for both software packages to satisfy the requirements of schools that had either program. A CD was created with all of the materials developed in SIP 1, plus training and information materials that was to be distributed under SIP Phase 2. A three year extension of the SIP Phase one was set up. Under this project the staffing element from DISCS remained the same (The designated teacher changed, but current TA continued). Widgit continued with the same level of support, including management of the work programme by senior Widgit staff. This was a reciprocal arrangement between the two groups. In this phase work was planned initially for KS1 and then extending to KS2. Meetings were set up with the staff from the DSLP to determine the priorities for development, training and feedback. 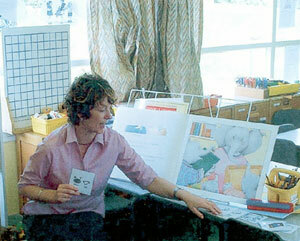 In 2008 the SIP project is continuing, creating more curriculum resources. A series of training events were offered to schools covering uses of symbols, symbols and Communication Friendly Environments, how symbols can support learning, and hands on training in how to edit and create materials. The SIP team initially worked through the DSLP in the schools, and then gradually extended their work to include other schools in Warwickshire.. Over time, the SIP team trained additional TAs to be able to deliver training in their own schools, and areas. Materials were initially disseminated through the DSLP, who provided valuable feedback and evidence on when and how symbols were effective. Termly meetings were held in which the staff recorded their experiences and made suggestions for further work. The first actions of SIP 2 was a series of dissemination events around the authority with presentations by DISCS and the SIP teams to explain about the SIP Project, the value of symbols for pupils, and to distribute the CD of resources. As the project expanded the SIP Website we redeveloped and feedback from classroom implementation was posted on the SIP website for all staff to access. In the third year a designated web area was also created with password access for Warwickshire staff to be able to access the additional resources as they became available. In 2011 the SIP Project is continuing with the similar level of commitment from the Local Authority and Widgit. 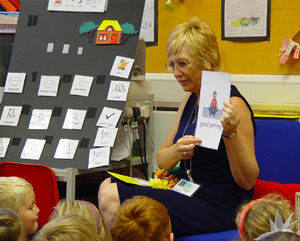 Communicate: In Print is now being used in 200 pre-school settings and in secondary schools across the County. Sign Graphics for Maths - extending the sign graphics from Deafsign to support the maths curriculum alongside the new maths symbols and the Maths Pack developed with the SIP Project. Both these areas are using the vocabulary list from the Numeracy Framework. The SIP Project is a co-operation between Warwickshire County Council and Widgit Software. Widgit hold the copyright of these and are free to distribute and sell these as they wish outside the LA. At the beginning of 2006 Warwickshire purchased an authority-wide licence for Communicate: In Print, allowing it to be installed on any machine in an educational centre in the schools sector. Widgit also included Communicate: By Choice under the same conditions. 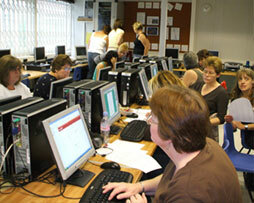 As of 2008 all schools also have a single site licence for Communicate: SymWriter.